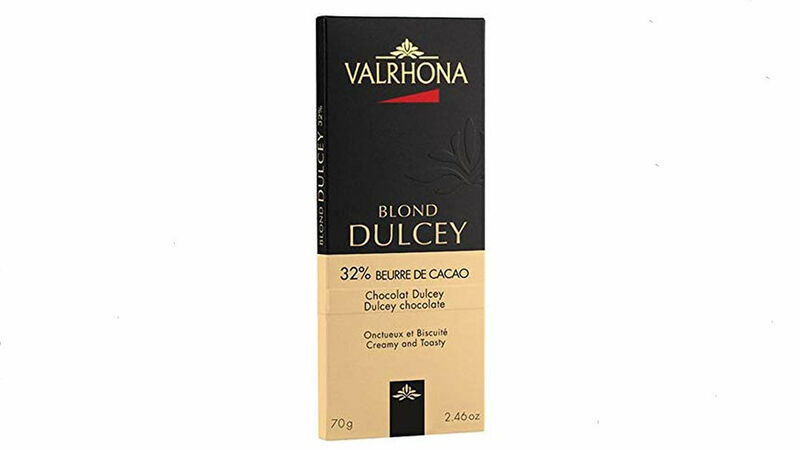 If you think you’re not a white chocolate fan, you haven’t tried Dulcey. Valrhona uses heat to coax greater complexity from its key ingredients, creating toffee-like flavors with cooked milk and caramelized sugar. These give a bittersweet flavor reminiscent of dulce de leche or caramel. Available in bar or “feve” (aka disc) form, it can be used in any recipe that calls for white chocolate.